Twitchy-twitchy-twitch, goes the skin under Emmett Shear’s eyes. The Twitch CEO has spent much of the last day personally soothing streamers and viewers on Reddit, who want to know the site’s new audio recognition tech is going to get better, or get gone. 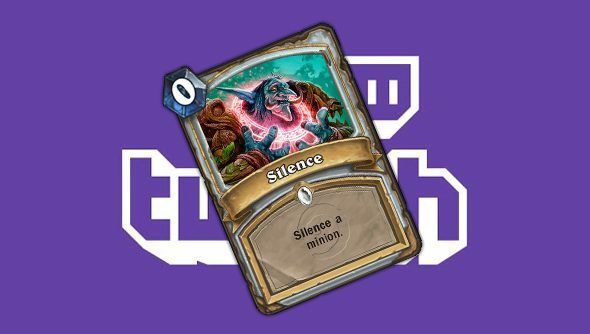 Twitch’s new audio recognition system scans 30-minute chunks of recorded video for copyrighted music – and mutes the lot if it detects any. About a fifth of the site’s archives are affected, some erroneously. During his Reddit AMA, Shear agreed with one user that current music licensing law is “not good” – but suggested it was beyond Twitch’s power to do anything about it. “It has never ever been acceptable under the Twitch ToS to stream music that you don’t have the license to,” Shear wrote. “We’ve consistently asked broadcasters not to do this. Shear went on to say that it wasn’t his intention to “hurt or piss off” the Twitch community – and that he regretted not telling users about the policy before it was implemented. “Please believe me that we are trying to do our best for the community,” he said. “We live and breath Twitch, and based on our understanding this is the best move. The introduction of the new system has been blighted by false matches – most notably in some of Twitch’s own videos, and in Valve’s Dota 2 International VoDs, where crowd noise was mistakenly identified as copyrighted music. But Shear said that Twitch had recorded a less than 0.01% error rate – a “handful of failures” out of millions of scanned videos. How serious have you found the issue to be, as a viewer?